At CourierGateway, we all come to work each day because we want to solve the biggest problems in courier shipping. We believe there is a better way to service customers and manage logistics... by offering a fresh, simple, “outside the box” solution that gets rid of the pain and frustration that is experienced today. CourierGateway is a cloud-based logistics platform that allows global customers to work with multiple couriers and manage their supply chain, all within one, super simple, shipping hub. Managing your courier shipping has never been easier! Now YOU are in the driver’s seat with 100% cost control and visibility. Our Solutions, Our People, Our Thinking is... Outside the Box. Automotive, Financial, Energy, Manufacturing, and Consulting: Offering unique SaaS based solutions to large, enterprise customer, allowing them to manage their global logistics in a simple yet centralized, logistics hub. Francine Goulet is the CEO and Founder of CourierGateway.com Inc., a SaaS-based technology company that automates courier management by sourcing the best prices and consolidating courier suppliers through a simple to use, “one account” dashboard in the cloud. Depth of Expertise: Having over 20 years experience in both IT and Supply Chain Logistics, Francine observed many industries quickly being disrupted by technology, she knew that it was just a matter of time for the transportation sector. Francine identified the courier sector as an industry that was highly underserviced, low tech, where most of the customers experienced pain trying to manage their business. After many one-on-one interviews with her long term clients, the “One Account” concept was born. The results were simple, customers wanted simple, easy access to everything. Goulet decided to build a next generation software-as-a-service (SaaS) based platform, positioned at the heart of companies’ logistics departments to consolidate and manage their courier needs and operations more efficiently and cost effectively, hence the inception of CourierGateway. 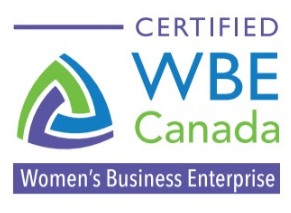 Diversity & Philanthropy: Goulet is currently a certified member of the Women’s Business Enterprise (WBE), and organization that connects Global Corporations with Certified Diversity Suppliers. Francine is also a philanthropist supporting Chrysalis, a Muskoka Women’a Advocacy Group (MWAG), which is a 24-hour crisis shelter for abused women and their children.